Bathroom Vanity – Are you planning to renew your vanity in the bathroom or thinking about buying the new one? 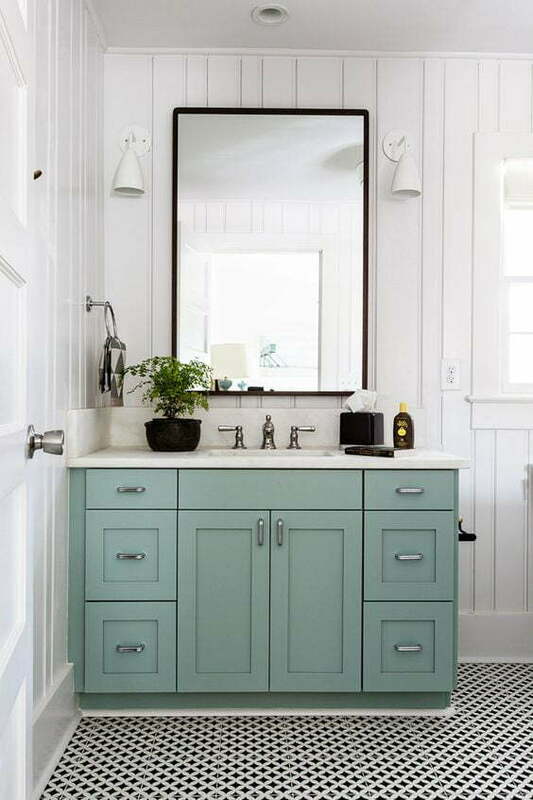 Then, these 15 gorgeous bathroom vanity ideas might be helpful for you as an inspiration. 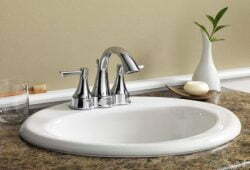 There are several types of bathroom vanity. They are including a vintage, modern look, or traditional vanity. 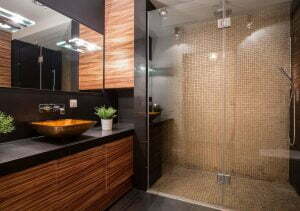 No matter what type of vanity you have, it is important to helping your bathroom shine. In this article, you will learn how to pick the right color for your vanity and place it beautifully. Our 15 beautiful pictures below will help you throughout the choosing process and get ready for the new look in your bathroom. You can get inspiration of color palettes through Pinterest. One of the popular colors like dark blue can be include in your choice of color. It is such an amazing medium shade that is not too dark and not too light. 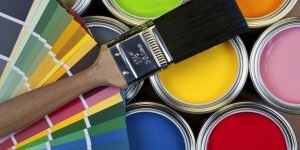 Make sure you do your research related to a paint formula and brand. You will not end up dislike your vanity after spending hours to repaint just because you choose the wrong paint brand. You can try this simple vanity that can go well with modern and minimalist theme. It is another important step to pick the right vanity. You can google several types of vanity that are worth to buy. And then, list them down and ask for more reference when you are in a home depot. But, when you are certain to buy one of the types after several considerations, and then go for it. You can try to have this overhead compartment that is suitable in a small bathroom. 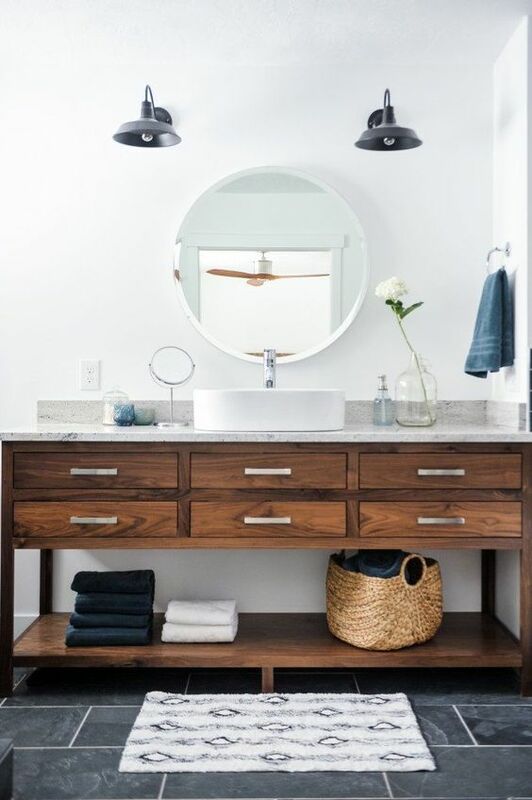 Place a mirror above this single wood tone vanity. 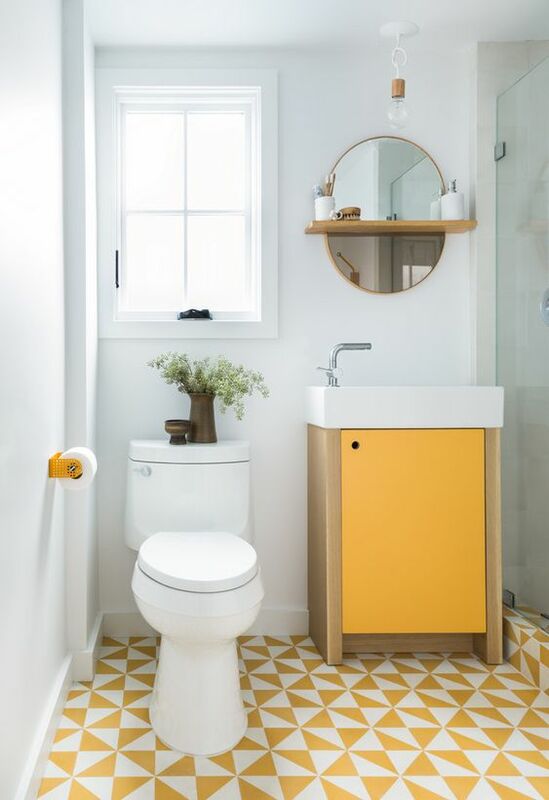 Do you want to try to have a yellow theme for your bathroom? Then, you can remake a stock bathroom vanity with a yellow coat and white hardware. It will make your tiny bathroom looks way more expensive especially there is a crisp white counter next to the clean white toilet. Don’t forget to add more function to the vanity by placing a shallow shelves or medicine cabinet. 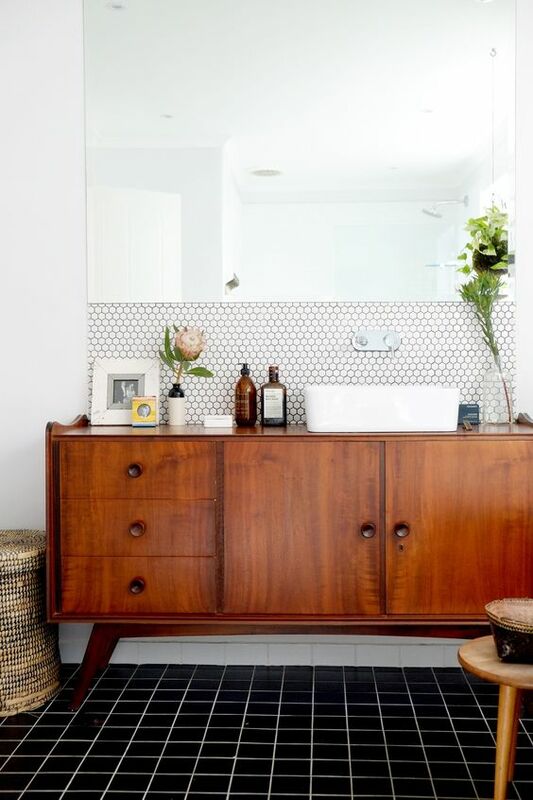 Dresser-style vanities never get wrong. It can be an absolutely stunning choice for an elegant bathroom. 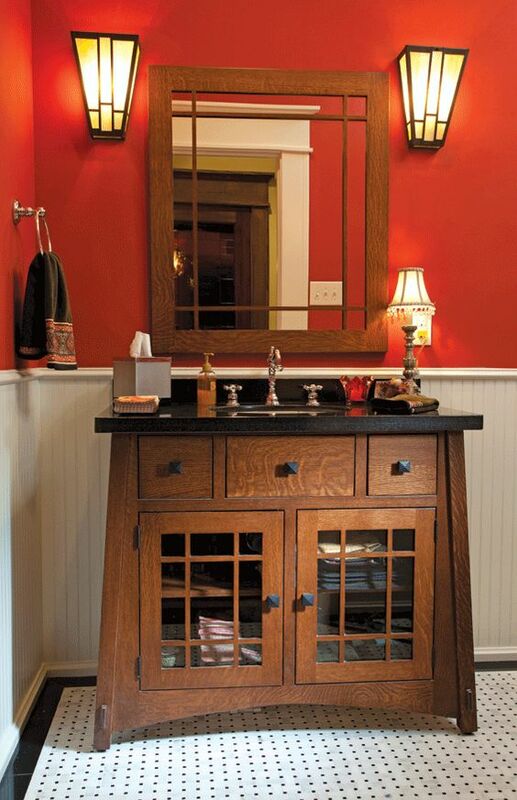 This red vanity will go along with vintage and modern elements altogether. 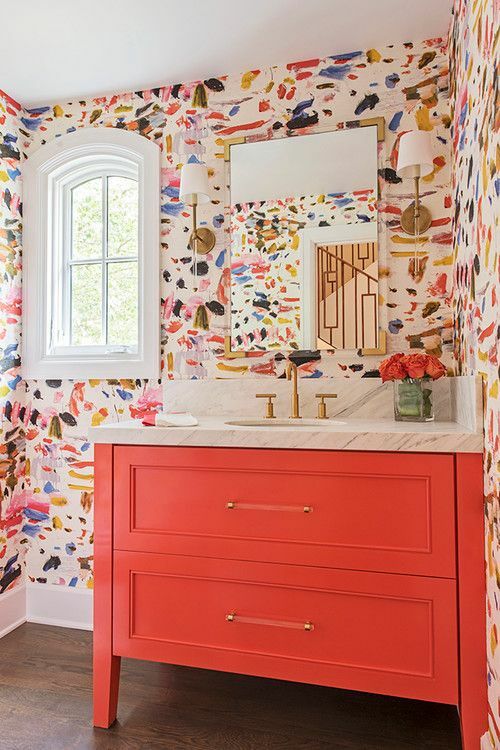 Choose a pattern wallpaper to make the vanity stands out and make sure that the wallpaper is chosen from one of the vanity color palette. Your bathroom will be more soothing than ever before. If you like simplicity and spacious elements in your bathroom, then you should go for white vanity. It will bring more contrast in a dark bathroom color. An open vanity like that will show your personality through a modern design of a bathroom. Simple black lines wallpaper will surely blend the vanity in the room. The next type of vanity that you can consider is an antique vanity. 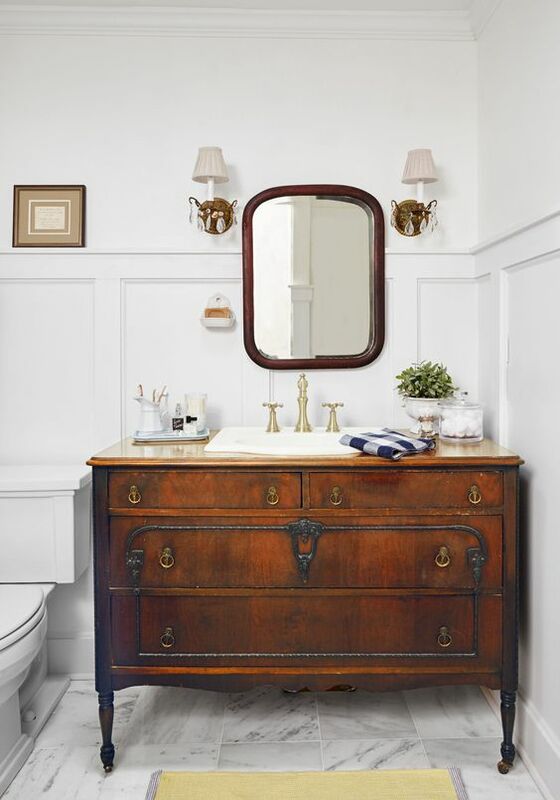 You can bring an antique atmosphere and vibe to your bathroom with this vintage-style vanity. 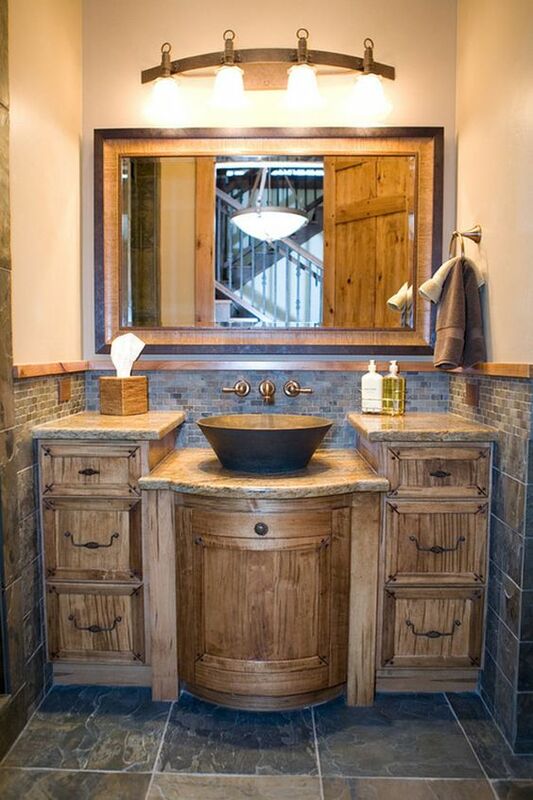 It will be best for a master bath especially when it is purposed as a vanity that has an antique touch. The choice of the lighting will also affect your mood when you look at the wooden mirror above the vanity. There are many types of vanity that goes well in country, modern, traditional, and even somewhere in between. But this vanity comes from an old workbench as the inspiration of the design. 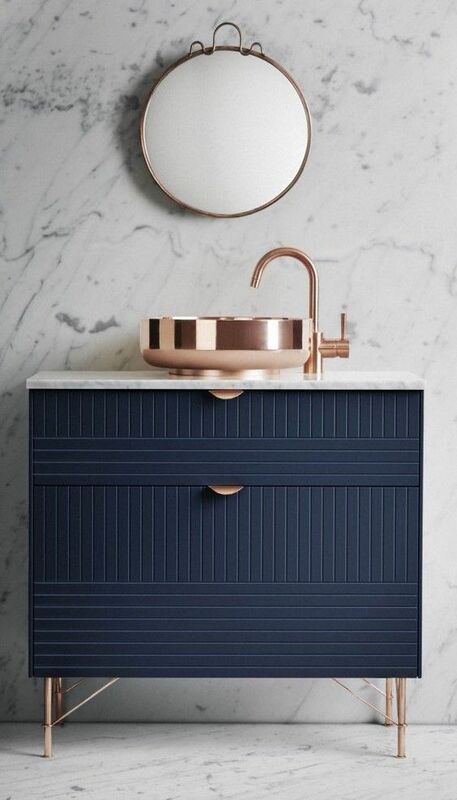 This vanity is painted beautifully and sophisticated. Not to mention, the storage underneath the vanity is very useful to place your towels. In order to create a sophisticated place, you can have a vanity with mix textures. This type of vanity will help you get ready in anytime you want. It will soothe your bathroom. With the oak wood construction, it brings natural amid of texture with the combination of elegant surface made from marble. Install nice lamps to bring warm and comfortable nuance to the room as well as wooden medium size mirror. This Tosca vanity will be perfect in a large bathroom. Mix with black and white color, it will bring elegance look to the room. Don’t forget to hang an oversize mirror. An oversized mirror can help you to create more spacious illusions and create geometric look into your bathroom. The next type vanity you can choose is this elegant wooden drawer. It is very useful for those who like keeping stuffs inside or under vanity. It has much storage that can be used for placing clean towels and clothes. This theme is a modern meets traditional since there is a natural element inside of it. 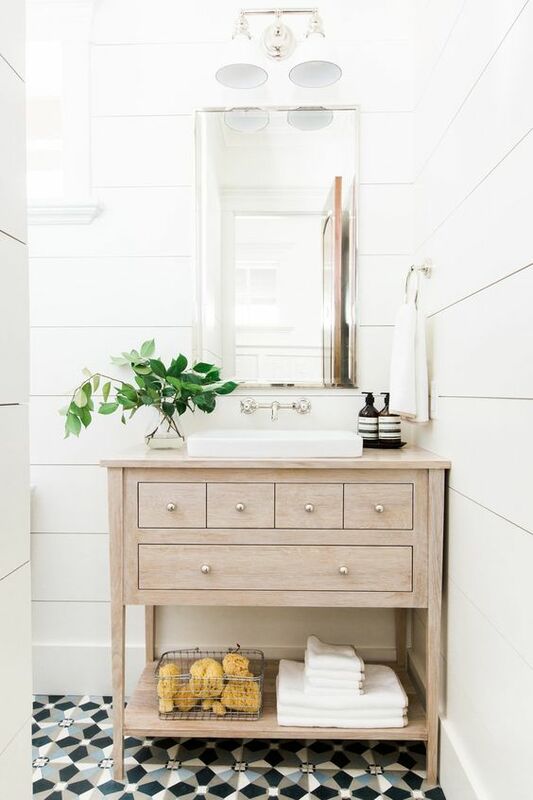 It never gets old to place any wood elements inside the room especially a bathroom. You can place it next to a clean white toilet to use the space. Black is always classic. 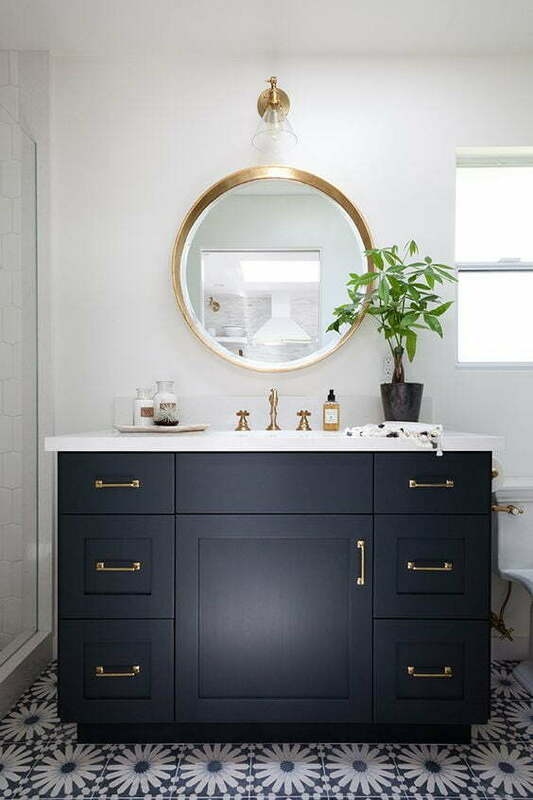 This simple, classic and small vanity stands out the bathroom with its dark color. It is also the perfect vanity for those who adore simplicity and elegance elements. You can try to mix the vanity with smooth white surface and place a beautiful flower vase. 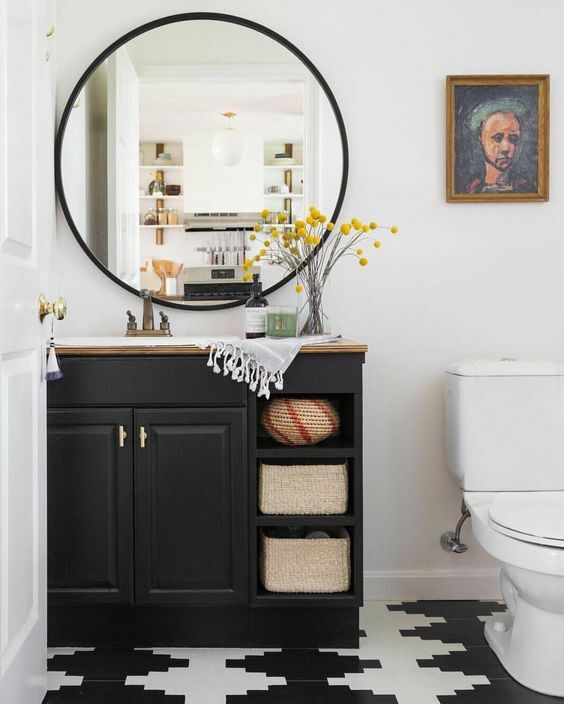 To create a charming vanity, place a rounded black mirror above it. 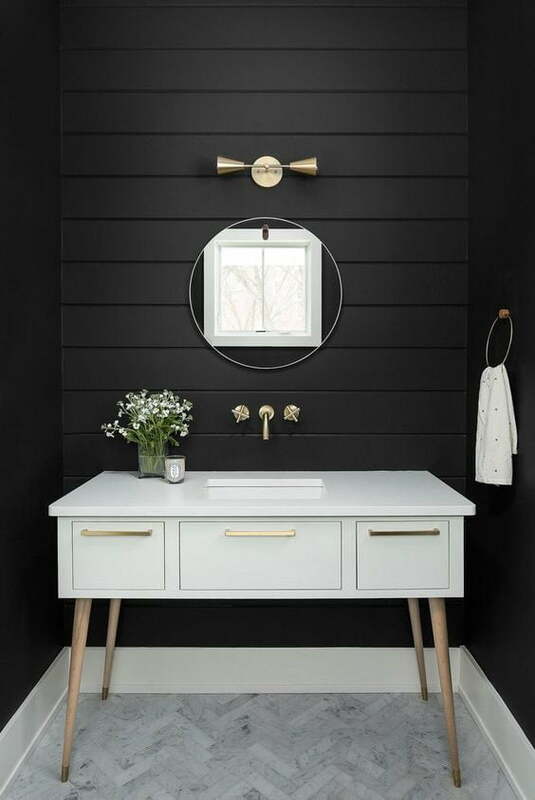 Choose a brown faucet to put something different in this black bathroom vanity. Who can’t resist black and golden vanity? It brings cleanliness feel in your bathroom as well. Place it on the pattern tiles like in the picture to create a contrast. Don’t forget to put a green plant to give small touch of freshness. A rounded brown mirror can be a good company for this type of vanity especially to help you getting ready in the morning. Try something new by placing your favorite fragrance or skin care routing near the sink. This vanity is made for you if you like bringing natural element in the bathroom. 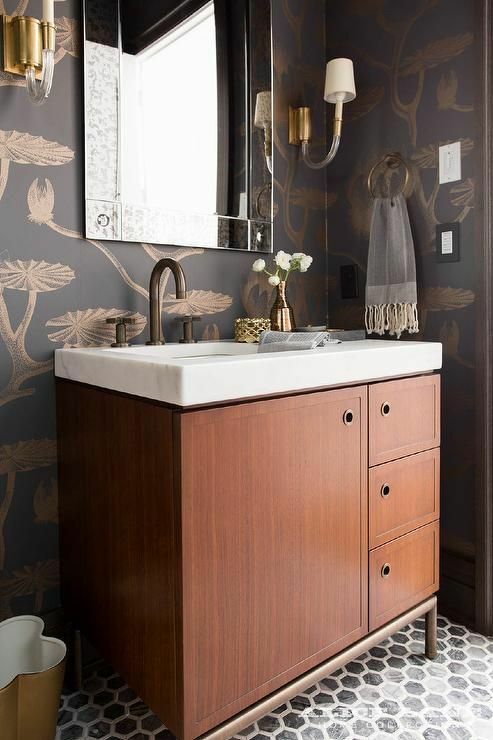 This simple wooden vanity is placed surrounded by pattern wallpaper that can give a little touch to the plainness of the vanity. This vanity is the mixing of workbench and wood elements. It has much storage to place your changing towel or clothes. Hang a rounded white mirror between two dark hanging lamps. This fresh color will make your vanity stands out in the bedroom. 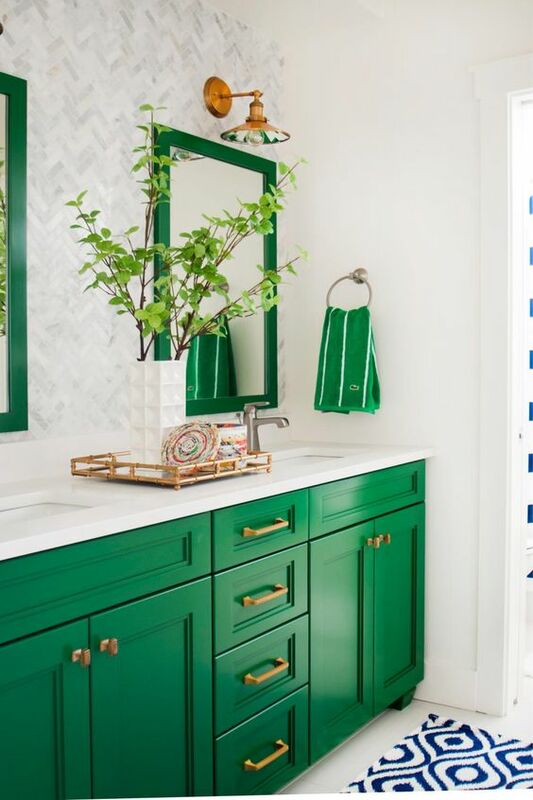 Green and white colors are perfect combination to make your bathroom looks cleaner and luxurious. You can consider to think about the colors of the faucet and lamps to make another stuffs stand out. Brown or golden color can be perfect consideration for it. Those are gorgeous bathroom vanity ideas that might help you to find the right vanity. You can always ask for advice to know the best quality of material or paint, so you will invest your money for a long durability vanity. Happy decorating!